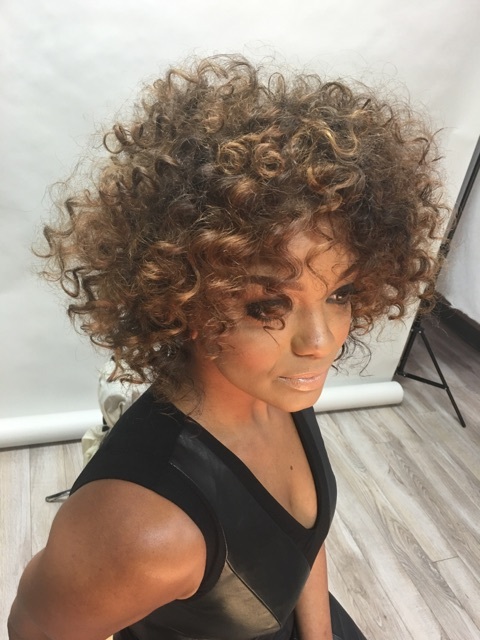 Entitles the recipient to a Unique and professional service by Educator and master Hair Stylist JAMAL EDMONDS. Gift Certificates are available in increments of $25. Gift Certificates will be delivered directly to the purchaser via email within 24 hours of purchase. By checking this box, I acknowledge that I have read and understand the gift certificate terms and conditions. YOU MUST CLICK "SUBMIT" THEN ADD THE CERTIFICATE TO YOUR SHOPPING CART TO COMPLETE THE CHECKOUT PROCESS. PLEASE CLICK "ADD TO CART" to complete the checkout process. On the next screen, you will have the option of selecting the quantities needed to achieve the total certificate amount. Thank you very much for purchasing The Lamaj Experience Gift Certificate. **On the next screen, you will have the option of selecting the quantities needed to achieve the total certificate amount. Gift certificates are redeemable at SALON LAMAJ or LAMAJ IN THE CITY for the amount specified on the gift certificate, by the expiration date indicated. JAMAL EDMONDS reserves the right to convert service-based gift certificates to their monetary value, equivalent to what was paid for the gift certificate, at its option and sole discretion. If a service or purchase exceeds the amount listed on the gift certificate, the redeemer is responsible for paying the difference at time of purchase. JAMAL EDMONDS reserves the right to immediately invalidate gift certificates, without notice, should it receive a credit card chargeback or other form of repudiated payment made towards the gift certificate. JAMAL EDMONDS is not responsible for lost or stolen gift certificates. Reasonable and prudent steps are taken to verify the legitimacy of a redeemer and upon full redemption or at the expiration date, the gift certificate will be identified as not valid for payment of any kind. JAMAL EDMONDS reserves the right to dishonor the gift certificate, if it reasonably believes it was not validly purchased, has already been redeemed, or the redeemer stole or is otherwise not the intended beneficiary of the purchaser. JAMAL EDMONDS will replace a valid lost gift certificate, provided the original gift certificate hasn't been redeemed and the replacement is issued to either the original purchaser or a verifiable recipient. JAMAL EDMONDS reserves the right to contact gift certificate purchasers, or known recipients, to remind them of upcoming expiration dates. Use and redemption of our gift certificates are also governed by our salon policies.